An ideal sequencing instrument should detect all types of genomic variation including structural [single nucleotide polymorphisms (SNPs), indels, copy number variation, inversions, chromosomal rearrangements], epigenomic, and transcriptional. Long read lengths are required to enable efficient genomic assembly and accurate phasing, and the detection method must produce highly accurate base calls to minimize errors and reduce costly iterative sequencing. Finally, the system should be inexpensive, be easy to maintain and operate, and require short run times. Although “ideal” sequencing instruments do not currently exist, engineers, physicists, and biologists in both industry and academia are actively working to solve the major technical challenges facing the development of new sequencing technologies. This chapter provides a broad overview of emerging new sequencing technologies including single-molecule and nanopore approaches. Potential applications in nucleic acid analysis which will be enabled by these technological advances are also highlighted. Krol A. Direct genomics’ new clinical sequencer revives a forgotten DNA technology. Bio-IT World. Oct 29, 2015. (http://www.bio-itworld.com/2015/10/29/direct-genomics-new-clinical-sequencer-revives-forgotten-dna-technology.html). Last accessed 22 March 2017. Korlach J. White paper: understanding accuracy in SMRT® sequencing. 2013. 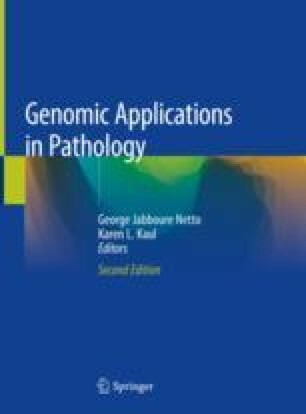 (www.pacb.com/wp-content/uploads/2015/09/Perspective_UnderstandingAccuracySMRTSequencing.pdf). Last accessed 5/10/17.